I recently celebrated a milestone birthday of my own… my 40th birthday! I still can’t quite believe I’ve entered a new decade, but here I am, still in one piece and ready for what life brings in this new and wonderful season! 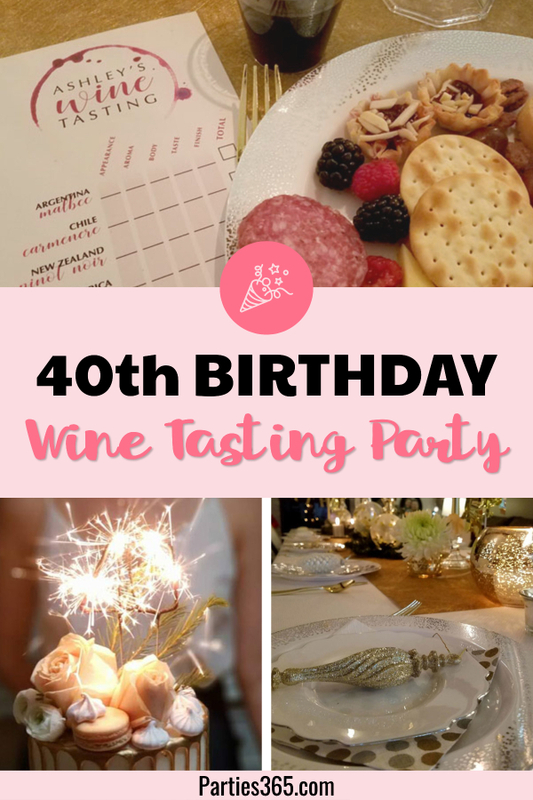 I’m a big believer that milestone birthdays should be centered around things you’re passionate about, so that’s why I chose to have a Wine Tasting Party with my dearest friends and family! 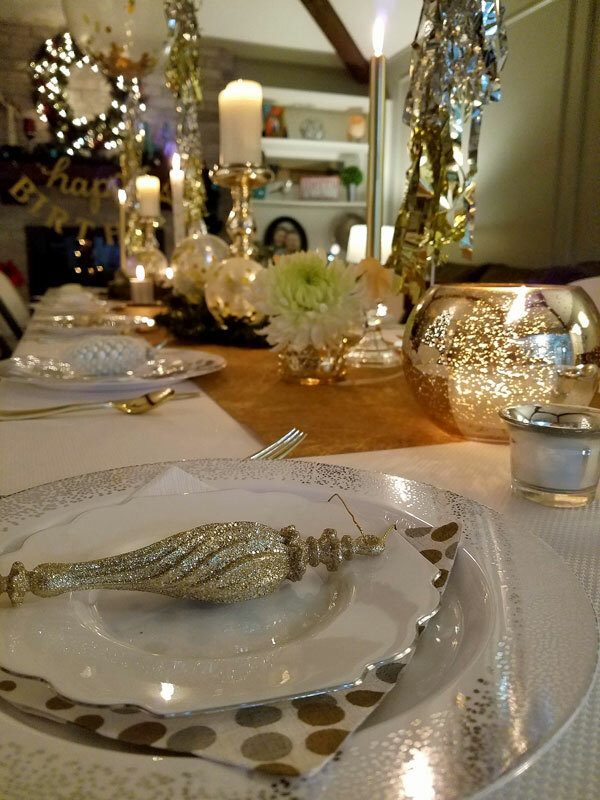 Join me as I take you behind the scenes of my special evening, show you all the sparkly, holiday inspired decor details, share my wine tasting printable with you and show you how to easily host a similar event in your home! There’s nothing I love more than sitting around sharing a glass of wine and talking with my favorite friends and family. I knew I wanted to have a long table that would hold all of us in one place instead of several tables scattered around the room. 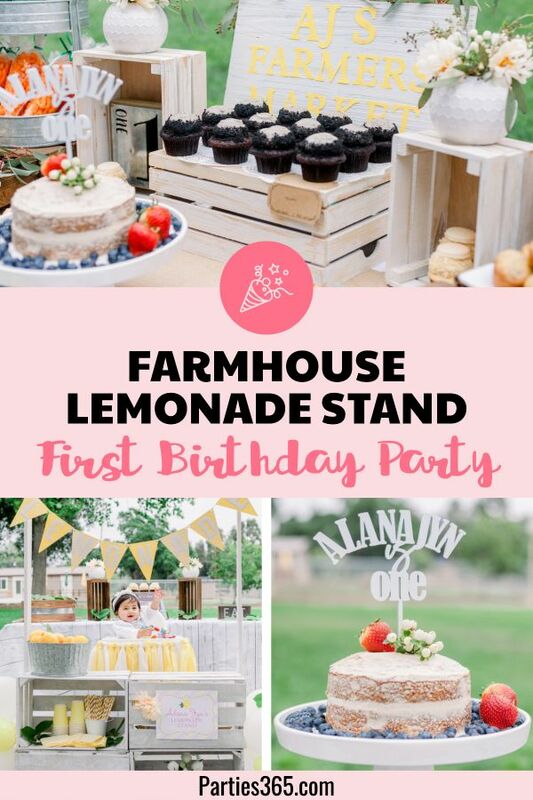 We opted to host the party in our home because I love the warmth that comes with a home party, but hosting a large group can sometimes be difficult if you don’t have the ideal dining space. Don’t be afraid to move your furniture around! We totally rearranged our living room, pushing couches out of the way so we could set up a long table that could sit 15 guests comfortably. I opted for a mixed metallic color scheme using white as the base. I think Christmastime is the perfect time of year to go big with golds, silvers and anything sparkly and bright! 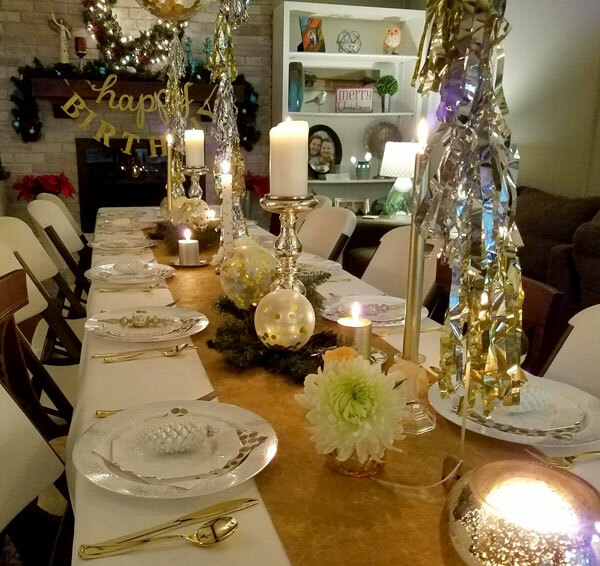 For decor on the rest of the table I started with a gold table runner then mixed in various heights and shapes of metallic candle holders, alternating between tea lights and taller tapered candles. The ambiance it created was really magical that evening! 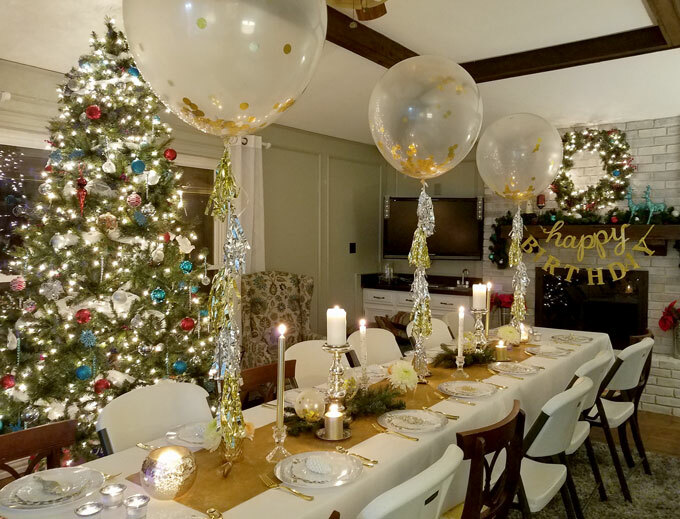 I also added a little greenery with evergreen sprigs and used some mini gold confetti balloons (that I’m totally obsessed with – they’re so versatile) to dress those up! 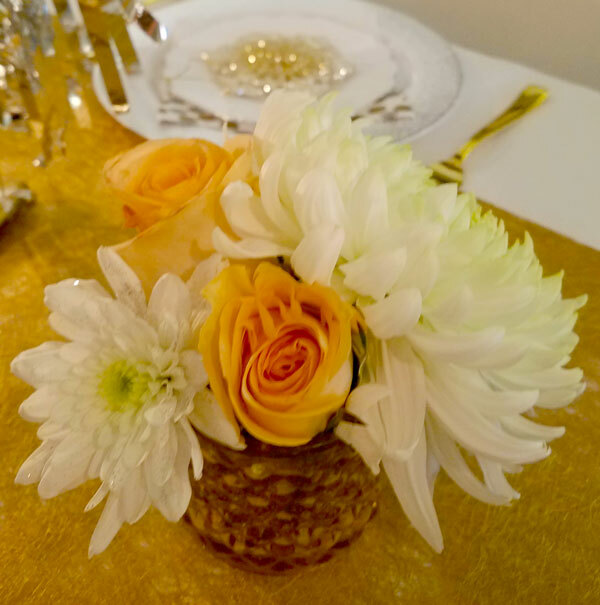 Next, I added a few small flower arrangements in low gold vases throughout the tablescape. 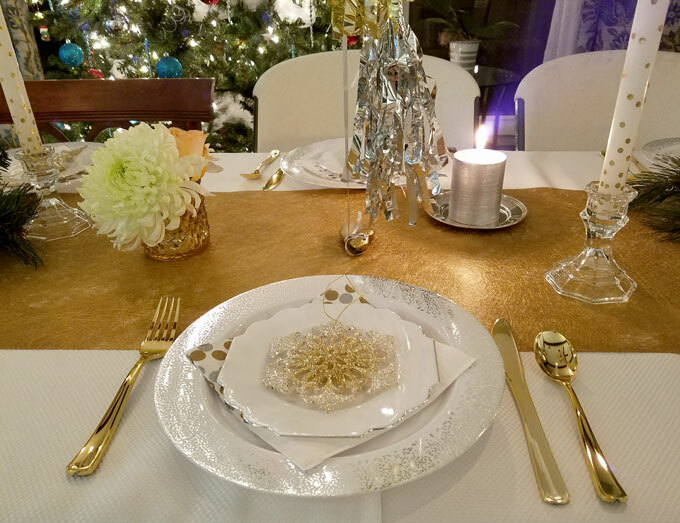 For each place setting I used these gorgeous white with silver polka dot dinner plates (which have a fine china look, but are actually disposable) topped with the scalloped white plate with silver edges for cake. The polka dot “Cheers” napkins (similar ones here) and gold cutlery help tie together the mixed metallic look I was going for, don’t you think? 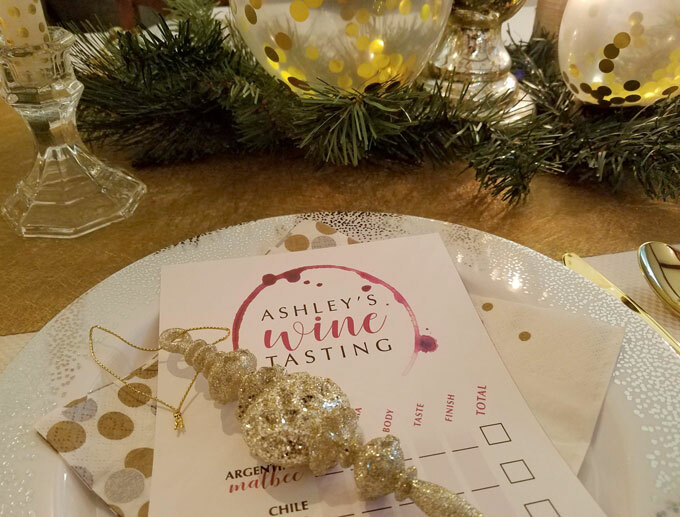 I topped each place setting with a custom designed wine tasting card (more on those in a minute) and a glittery gold ornament for each guest to take home as a party favor. 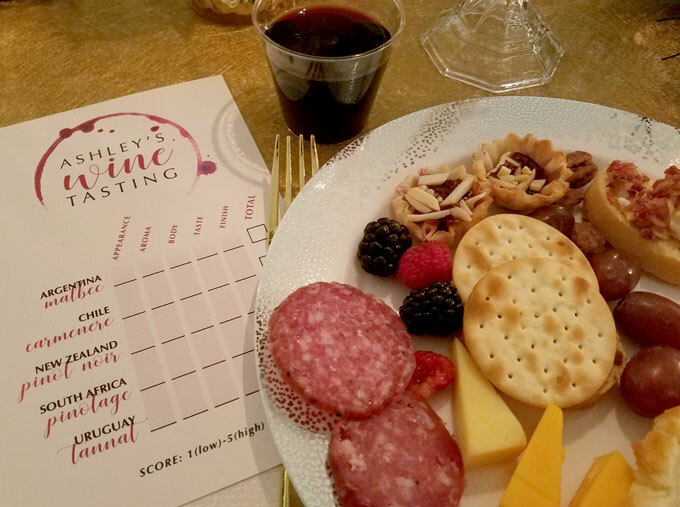 I love having an activity to do at a party – no matter the age of the guests – and our activity of the night was wine tasting! We did a “Southern Hemisphere Reds” tasting and tried different varietals from five different countries. Let me tell you… it was amazing! We used this custom wine tasting card to keep track of what we were trying so we could compare each round. 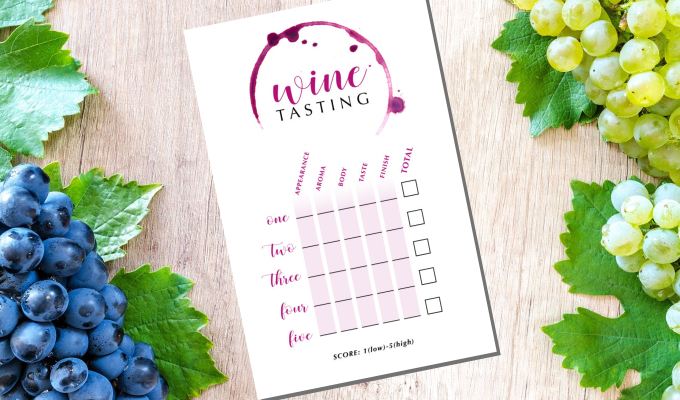 We’ve created a similar Wine Tasting Card for you to download and use at your next party too! 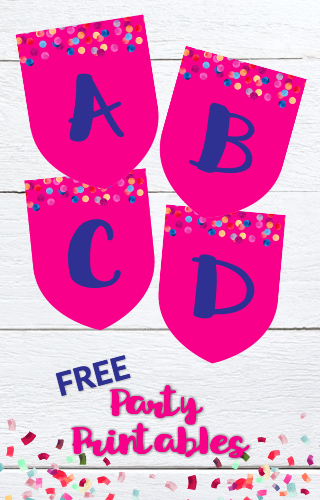 It’s just one of the many printables available to you in our Party Printable Library. Thankfully I had the genius idea to cater my own party so I didn’t have to cook! And let me tell you, that’s the smartest decision I made! 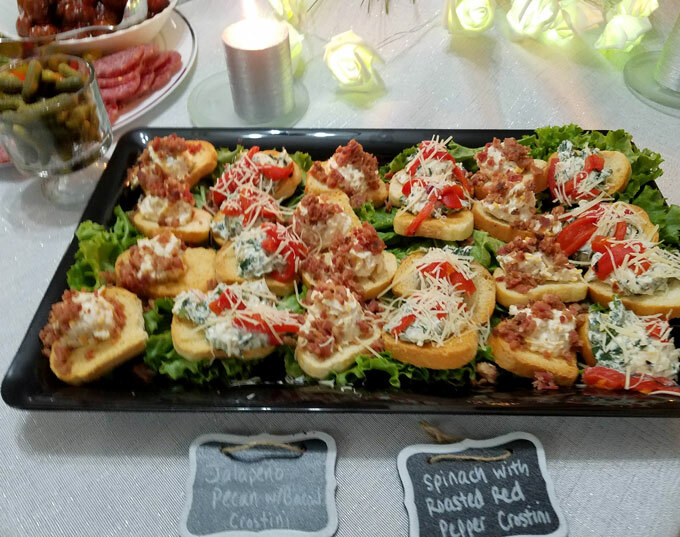 We got a variety of hors d’oeuvres from Market Street including a cheese and fruit platter, a charcuterie platter, brie and raspberry phyllo cups, two types of crostinis and some sweet and spicy meatballs. 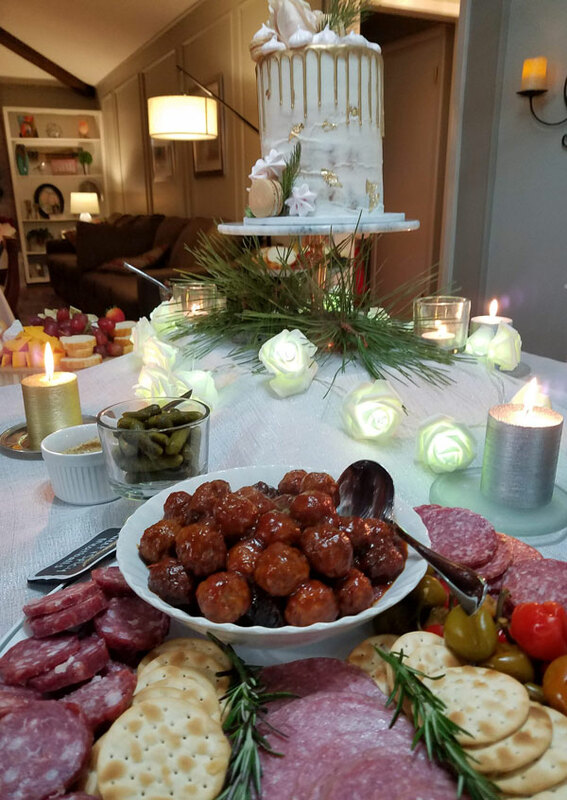 I used my own serving platters and added in some nuts, dried fruits and additional crackers, to really make the table look beautiful. 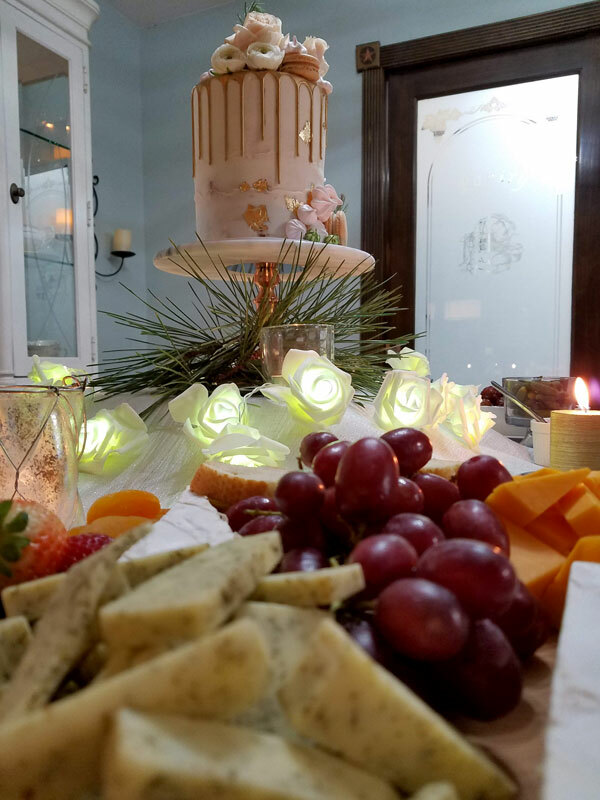 I didn’t have any greenery left over for this table, so I went outside and clipped a few small branches off my pine tree to add a little something under the cake stand. Use what you have in a pinch, right? 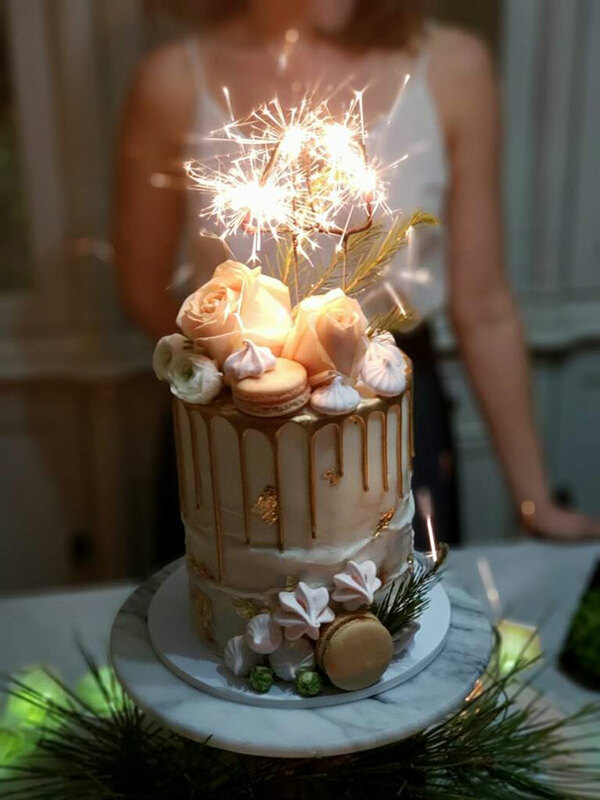 I am so thrilled with how my birthday cake turned out! 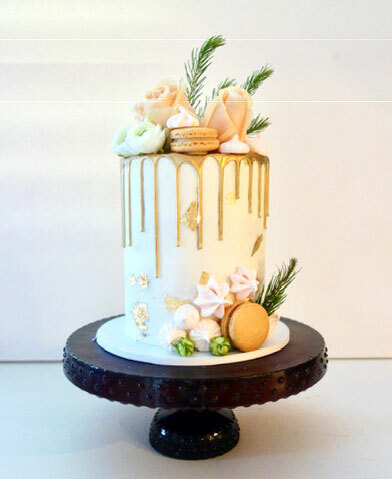 I asked Angela Perry at Gemello Cakes & Nibbles to design a naked cake with gold metallic drip icing, topped with meringues and macarons that would look great at a winter themed party and wow! She totally came through, didn’t she? 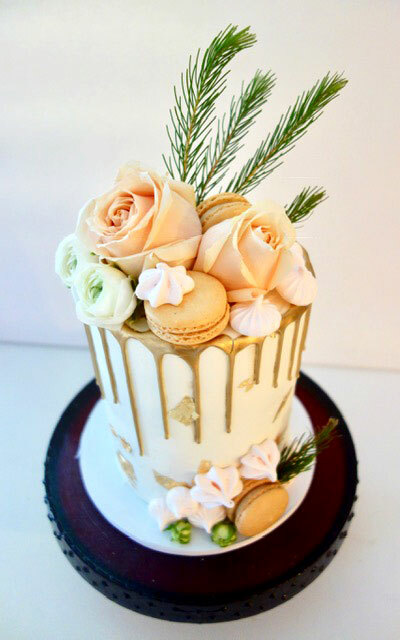 This gorgeous tiramisu-inspired cake was as delicious as it was stunning! And because it was a milestone birthday, I decided sparkler candles (found at Party City) were a must and we lit that “40” on fire! So. much. fun. 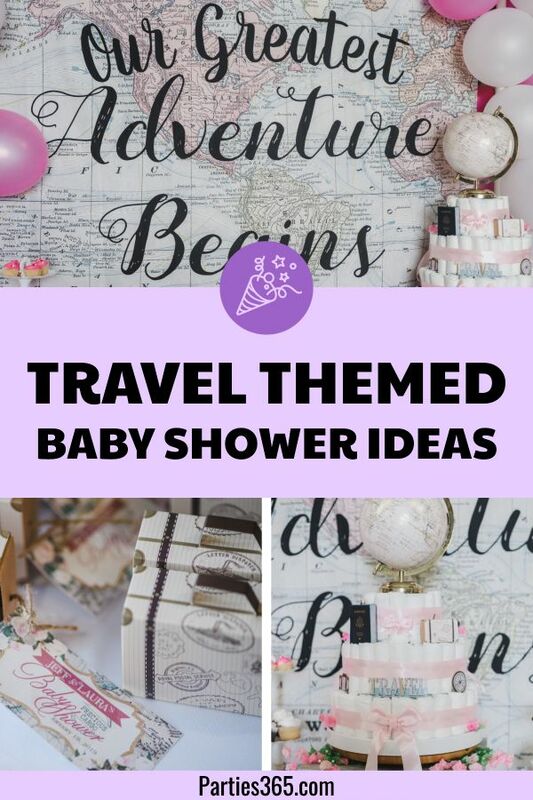 The small details really make a party special and I added in a few things that were festive and fun. 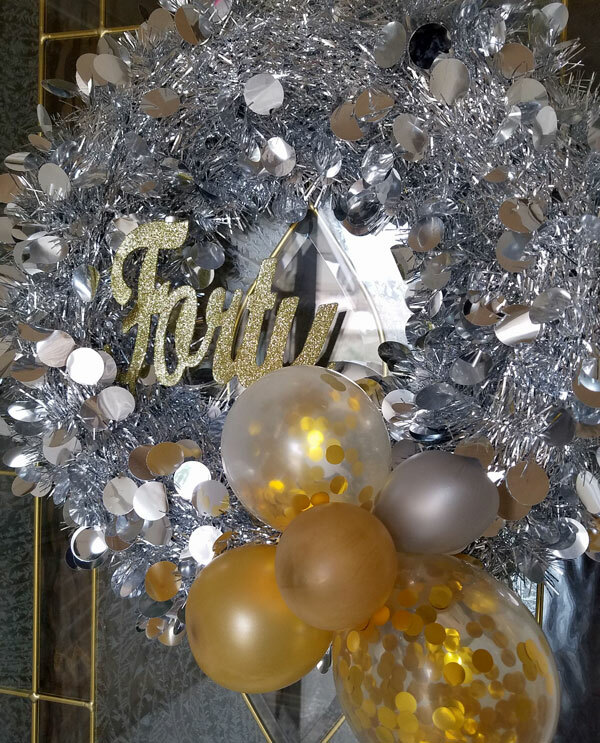 I love having something themed to greet guests when they arrive, so I created this sparkly “Forty” wreath to hang on the door. This was a simple and inexpensive DIY project that you could easily recreate. 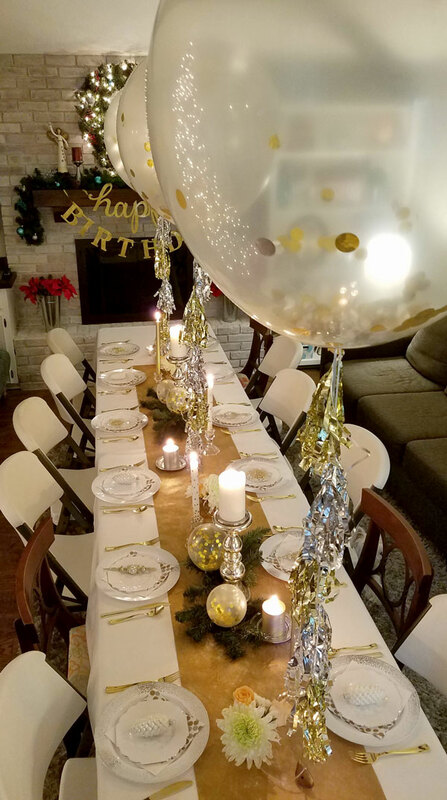 I found the silver wreath at a local dollar store, had the “Forty” gold cake topper from my husband’s 40th Beer & Bacon Tasting Party and used a few of those mini gold confetti balloons and a mini silver and gold balloon. 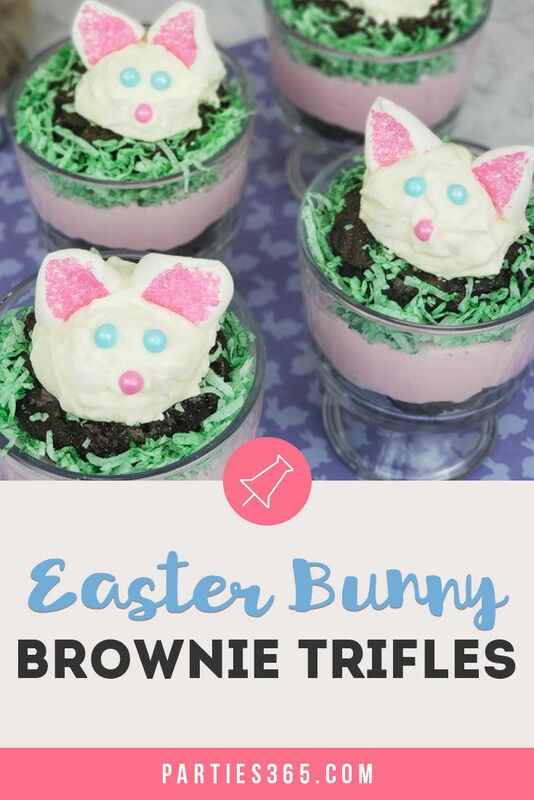 Easy 5-minute project with a big impact! 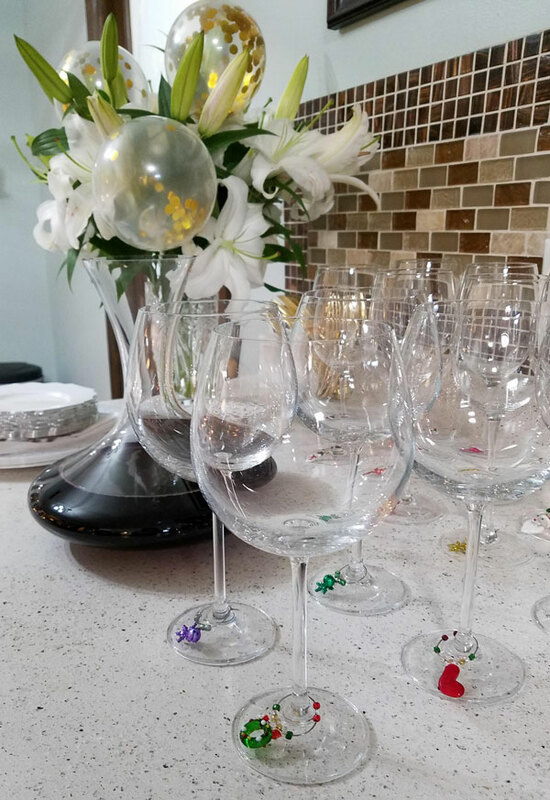 I also set up a wine glass station and we used adorable Christmas themed wine charms to keep track of everyone’s drink. I had a special wine – another Southern Hemisphere Red not featured in the tasting – that we served people as they arrived. It’s always nice to put a drink in someone’s hand shortly after they arrive. It makes them feel welcome and sets a good tone for the party to come! 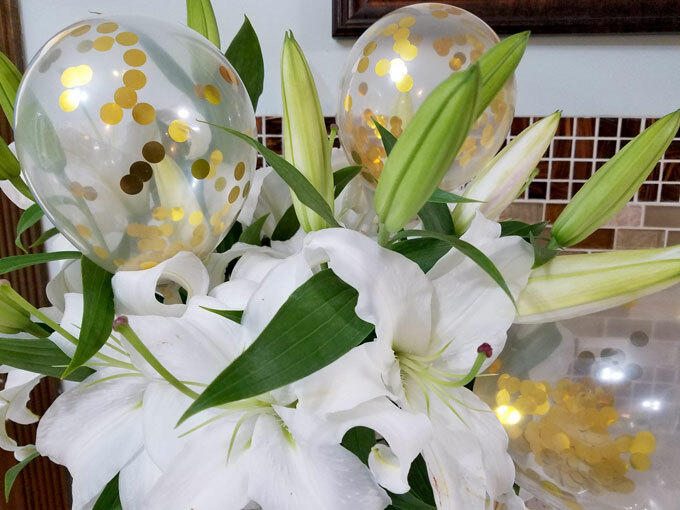 The wine was set next to a beautiful bouquet of white lilies to which I added – you guessed it – more of my favorite mini gold confetti balloons! Don’t they look great in there? Overall, this was the perfect 40th Birthday celebration for me! The wine, the friends, the conversation, the cake! I couldn’t have asked for a better birthday party! 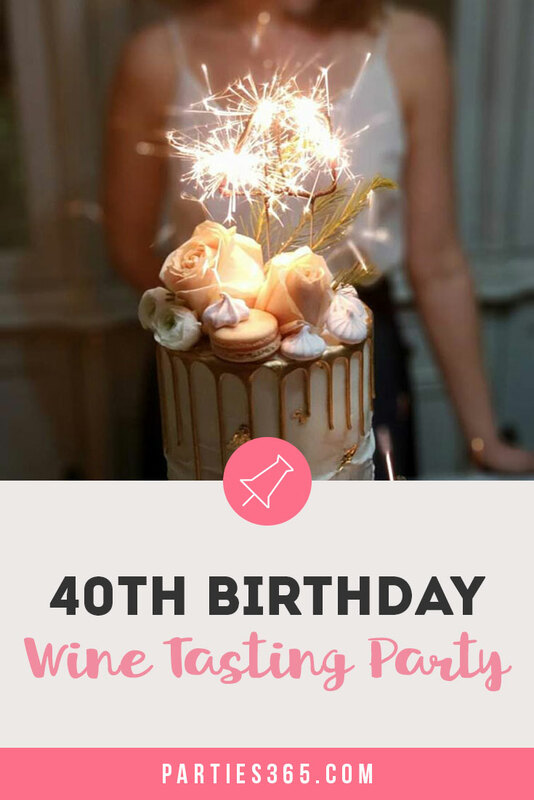 Be sure to Pin this post so you’ll have ideas the next time you throw a wine tasting party!